Ask fellow campers about "Glendive RV Park & Campground" and nearby attractions. We received the weekly rate. Weeds everywhere, a million dandelions. They made a pitiful attempt to mow it down but only got less than half of them. There appears to be no full/part-time park host. You register at the hotel in front of the park. The sites and roads are gravel. 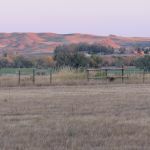 With a little up-keep, this RV Park could be ok. We camped at Glendive RV Park & Campground in a Motorhome. Grass is about 12" high everywhere, their website claims cable TV. No cable and TWO OTA channels. Saw no facilities, but did have water, electric, and sewer hook ups at the front of the site. Way expensive for what they have. If you don't know it is behind the Motel, you will miss it. Check in is at the Motel. 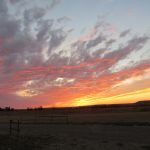 We camped at Glendive RV Park & Campground in a Fifth Wheel. This Park has been closed for a few years & just re-opened in July, 2016. At this time they have no advertising in any of the RV directories or along the highway. We only stopped there after having stayed there 10 years ago. The brother of the property owner runs the facility and has his office in the hotel immediately in front of the Park. Be careful driving into the Park as the gravel street (on city property, not Park property) has extreme ruts! 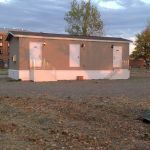 The manager has indicated that he will not be running the campground after this year and assumes a resident manager will be hired. Call ahead! 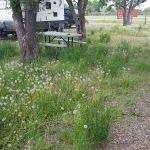 We camped at Glendive RV Park & Campground in a Motorhome. Are you affiliated with Glendive RV Park & Campground ?